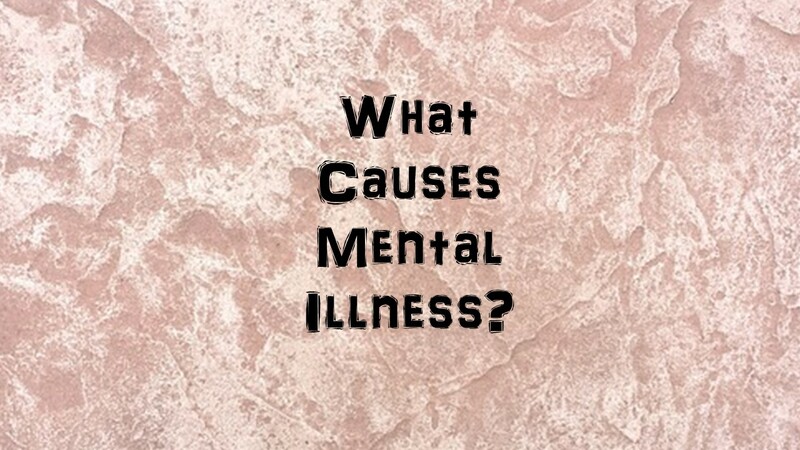 Could you have a Mental Illness? You think you might have a mental illness, what should you do? Have you ever thought that you were someone close to you might have a mental illness? Being faced with mental illness doesn’t mean you’re crazy or have lost your mind. Many people go through episodes of depression, or you may have excess anxiety. Sometimes the stress of life just is overwhelming. Or you may be having conflicts with your family, your spouse, or your children. If you are having difficulties with your thinking, feeling, or behavior you may be at risk of developing a mental illness. If so what should you do in this situation? 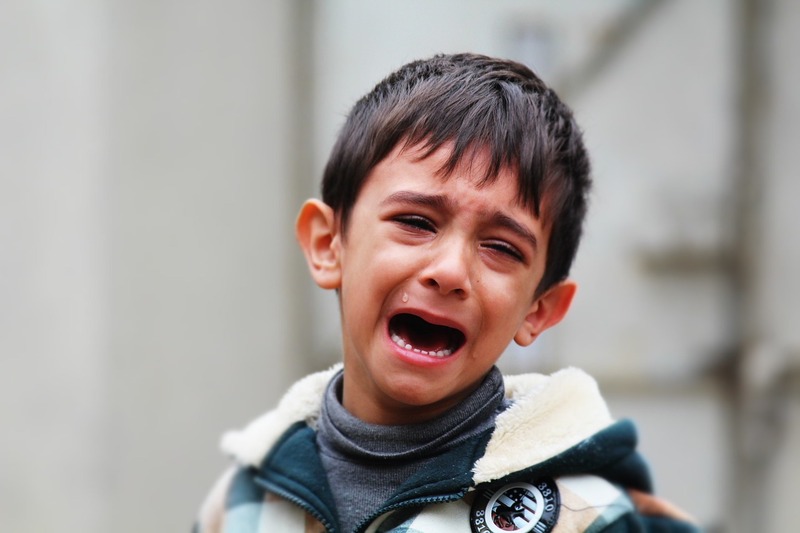 Below are some do’s and do not’s for people who are at risk for emotional problems. Don’t ignore it, get help. Just like physical illnesses, mental, emotional, or behavioral problems don’t get better without attention. Pretending you don’t have an illness doesn’t keep you healthy. There’s no great virtue in toughing it out and suffering. Seeking help when under stress can help prevent more serious emotional problems from developing. Discuss your problem with someone who feels safe. If you are thinking your problems have gotten out of control, now is the time to find someone safe you can talk to about it. Sometimes that trusted person will be your friend or family member. Talk about your symptoms with your medical doctor. Whenever you’re feeling out of sorts, the first thing you need to do is talk to a medical doctor. Physical problems can often look like mental health symptoms. It is important to make sure that your feelings of sadness or depression are not a physical illness. Sometimes prescription medications can create symptoms that look like emotional disorders. See a counselor or therapist. Going to see a counselor or therapist does not mean that you have given in to a mental illness. Professional athletes have coaches because they can help them improve their performance. In the emotional area, it helps to see a counselor to work on your stress and issues before they turn into something more serious. Counselors are specially trained to listen to what’s going on in your life, evaluate your symptoms, and decide whether what you’re experiencing is normal or qualifies for a mental illness diagnosis. A little bit of stress is good for you. We exercise to keep our bodies in top condition. But holding onto too much stress over too long a period of time can overwhelm our emotional system. Often it is not a huge overwhelming stress the causes people difficulty, it’s the accumulations of lots of little stress day after day. Work on ways to reduce those little stressors and learn to stop stressing over the things that don’t really matter. Failing to take care of yourself is not a value. Learn to take good care of yourself physically and emotionally. Get plenty of sleep, exercise, and eat as healthy a diet as possible. Work on solving those other life problems. Often emotional crises are the result of failure to deal with other real-life problems. Work on career problems. Get some help with financial issues. Tackle those legal problems you’ve been putting off. Consider taking medication for your problems. Taking medication to help you live a healthy life is a reasonable thing to do. It doesn’t matter whether those problems are physical or emotional, medications can sometimes help. Have that talk with your doctor, and see if there’s some medication which might help you deal with your depression, anxiety or other emotional issues. Taking inventory of where you are at. After looking at all the possibilities listed above if you’re thinking that you might be experiencing a mental, emotional, or behavioral issues, something we might call a mental illness, now is the time to take action. I hope some of the suggestions in this blog post are helpful. Do the mentality ill need to stay sick? Mental health care is caught in a bind. What are we to do about the mentally ill? Our systems of care are stuck on the very sharp points of a modern dilemma. Most of those care systems are set up to care for the sick. We assume that there are two kinds of people, the “normal” ones and the mentally ill ones. Despite all the evidence that across the lifespan the two groups are largely indistinguishable, our programs are primarily focused on, sometimes restricted to, treating the ill.
We have systems in place to treat the sick. Often these programs are poorly funded and access is limited to only the most severely impaired. Despite their inadequacies programs do exist. Unfortunate our systems of care aren’t always prepared for people getting well. The traditional mental health treatment paradigm consists of identifying a problem that could respond to our available treatments. Give them meds, give them therapy, manage their lives for them. Sometimes the system expects to cure them, a few of them, and send them away. Only we know that paradigm stopped working in physical health a long time ago. Most health problems, mental or physical, do not get cured. They are chronic. You don’t get cured of diabetes, you get your symptoms under control. Then if you are no longer critically ill we need to move you out of the treatment facility. Mental health systems only treat the ill. Despite much evidence that people with mental health and substance abuse disorders recover, we insist that if they are to continue to see the doctor they need to remain sick. If their current care does not meet “medical necessity:” then they are not eligible for services. Keeping someone well, supporting their wellness is just not in the program. Once you “flip out” and try to kill yourself or others you are eligible for help. Until that time no services for you. Preventive medicine has not yet reached mental health. Repeated studies have demonstrated that for every one dollar we spend on substance use treatment we save seven dollars in incarcerations and criminal justice costs. But until you commit a crime and do your time you are not eligible for rehab. Strength-based recovery works so no one pays for it. Treatment plans begin with current symptoms. The assessment form may start off with a history of the present illness, not what life problems has this person had to overcome and what strengths have they been using so far. The biased assumption of this approach is that there is somehow something wrong with this person. The possibility that life and its stressors have overwhelmed you rarely comes into play. If you want treatment you need to stay chronically ill.
Generally, once the symptoms subside the client gets discharged. The recommendation is when you feel like killing yourself again, call us. What is missing is what can we do to help you get well. If you want help you need to stay sick. Get too healthy and your encouragement gets withdrawn. The system perpetuates itself by encouraging people to think that they cannot and shouldn’t get better. Disability rather than a temporary support has become an all-or-nothing program. Stay sick and we will help you. If you decide to get better you are on your own. There are some exceptions To the stay-sick requirements. I realize that there are some exceptions to this paradigm, that you need to be very, very mentally ill before you can get coverage for your mental health issues. Some non-profits try, a few governmental programs are designed to help people stay well and continue to have productive lives. But those few programs are the exceptions. They are constantly hampered because they need to find funding sources to pay for prevention and rehabilitation services. Most funding streams are only available to treat illness and to get help in these places you need to stay ill.
What is needed to improve mental health? What is sorely needed in the mental health and the substance use disorder field is a seamless system of care. People need accesses to brief counseling when they are going through life’s difficulties before those problems derail their life. We also need mental health systems that assume people will get better and can have a happy productive life. Those systems should be able to offer help and encouragement during the difficult times without requiring you to prove you are permanently mentally ill to qualify for treatment. Most importantly, systems of care ought to emphasize helping people reach their own happy life goals rather than requiring them to stay sick if they want help. Episodic and preventative care needs to replace the current program of requiring people to prove they are seriously mentally ill and will promise to stay that way in order to receive help. Outcome measures need to focus less on how many severe symptoms you have and more on how you are progressing on having the best life possible. Wellness and recovery needs to move from being a slogan to being a reality. Do people with problems not want to change? 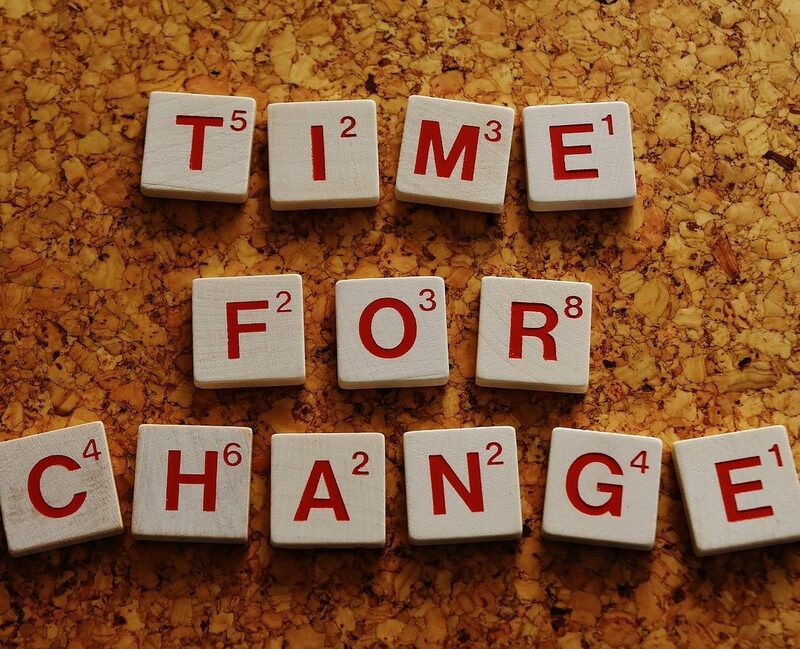 Time for you to make a change? Why do they say that people with problems want to be that way? Lots of people, with varying problems and disabilities, seem to be dismissed with the expression that the reason for their problems is that they do not want to change. Is there any truth to these claims and why do we hear this so often? First, let me give you a list of the things I have heard recently. Some of this comes from professionals, some from the news media and some from just average people. After the list let me tell you why I think we are hearing this more these days and lastly what we should be doing about this. People with depression are using this illness to avoid doing anything. Fat people don’t really want to lose weight. There is no such thing as mental illness, those people just want to get on disability. People who say they have anxiety are just trying to get other people to take care of them. The homeless prefer to live out on the street. Drug users do not quit because they want to use. The unemployed are unemployed because they do not want to work. There are many other forms of these statements, but mostly they seem to me to be ways of dismissing people with problems by blaming them for having those problems and then saying that they are unwilling to change. So why if obesity, homelessness, unemployment, loneliness, drug addiction and mental illness cause all that pain, do people seem to so strenuously avoid doing exactly the things that would change their situation? Doesn’t it look sometimes as if people with problems really do not want to change or they would? Turns out that change is far harder most of the time than doing nothing. I can see why society and people who work in the helping fields could start blaming the people with the problems for their lack of progress. As long as we can blame them we do not have to think that our programs and policies might be letting the suffering down. It is easier to think that the homeless like to be out there in the cold, the rain or the snow, than to really try to tackle those issues. Why do we blame those with problems for those problems? Turns out that change is hard for humans. We learn a certain way of coping and then we continue that coping style over and over. Even when we come to believe that what we are doing is not working, deciding to do something different and then carrying through on that decision is difficult. People in these situations sometimes have to give up everything they have to reach for something else. Here are some examples. Unemployment is rarely a choice. If I think that unemployment is caused by a lack of jobs, I might get scared I could end up out of work. If I can convince myself it is because they don’t want to work I can pretend it won’t happen to me. For a huge stretch of time since World War II here in the United States, we have had growth and expanding employment. There have been ups and downs but overall more people work as time goes on. There was a time when any able-bodied person who wanted to work could find a job. Recently we have seen a trend, there are jobs available, but those jobs require advanced skills and are often in distant places. Many who are unemployed lack the skills needed to get a good job, they may live in places with high unemployment and as a result become seriously depressed. When you are depressed doing anything can be at the limits of your abilities. For the homeless shelters may mean giving up all you have. If you are homeless, most of your friends and partners are homeless also. If you have a boyfriend or girlfriend you need to leave them behind. Your pet? That dog that kept you warm and comforted you on that cold night? That animal goes to the pound. There are few places a homeless person can take their partner or their pet. While in the homeless shelter you need to be there in the early afternoon and leave in the early morning. Getting to and from the shelter takes up the whole day. Your life begins to revolve around being a recipient of a place to sleep. When you have next to nothing you use what tools you can find to cope. Many homeless people drink to dull the pain, physical and emotional. Without an address, it is hard to get into medical or psychiatric services. Homeless programs often require that the people they house stop alcohol and drug use altogether to get housed. It is easy to say that the homeless do not want housing and harder to recognize that they may not be willing to give up friends, relationships, pets or other coping mechanisms to fit into the requirements of a given program. Obesity is about more than just eating less. Once upon a time, we idolize the person with some meat on their bones. When food was scarce the healthy, those who were not emaciated, made it through the winter to live another year. Then times change, food became instantly available, and the ideal change. Weight loss has become big business. Despite a quizillion diet books and weight loss programs, the rate of obesity in America continues to climb. Food is available on every corner. Fast food and food available 24 hours a day in any season. The result of this increased availability of food has not been better health but more unhealthy food. Most dieters learn all too rapidly that the minute you relax your diet the weight returns and brings a few pounds of extra fat with it. With the weight gain comes physical ailments. Exercise is harder the more weight you need to lose. The modern solution? Surgery to reduce the body’s ability to hold and process food. The mentally ill are likely to be told to just snap out of it. For most people who have a mental illness snapping out of it is only slightly more difficult than growing a few inches because you should be taller. When you have depression, severe major depression, getting out of bed in the morning is an all-day task. This is not laziness, it is horrific work to make yourself do something that you lack the ability to do. If you have an anxiety disorder, the most common mental disorder in America, you are likely to be told to just not worry about it. If you go for treatment those of you who have social anxiety can look forward to spending hours in crowded waiting rooms with people you do not know and with whom you wish you did not have to spend time. I know there are exceptions. Programs to treat anxiety that are small and personalized. But all too often treatment programs are organized to meet the needs of the system, not the individual. The truth is that those with problems no not always use programs, not because they like things the way they are but because they are being asked to do more than they are able to in order to access those helps that most of the rest of us take for granted. We need to stop blaming the sufferers for their illness and look for solutions that work rather than create more programs that fail the people they are designed to serve. Mental Illness or Mental Health? Do people have a mental illness or are they in poor mental health? The language we use influences the way we think about things. Talking about mental illness or talking about mental health is a prime example of this issue. While the two expressions turn up in much of what is currently being called “Behavioral Health” literature the implication embedded in these two terms influence what we expect and how we react to the people being referred to. The older, traditional way of looking at the subject of mental illness was to assume that there were two types of people – the “normal” folk and then those other “mentally ill” people. One implication of this concept was that people with a mental illness were not able to do things other people could do. The result was programs and policies that assumed those with a diagnosed mental illness would need lifetime help to manage their lives. If we think in terms of mental issues being a disease or disorder then the first line of treatment as with physical illnesses, should be medication and surgery, the standard treatments of choice for physical illnesses and conditions. Despite over half a century of treating mental illness with medication and surgery the number of people who are diagnosed with a mental illness continues to rise. Fewer seem to be getting cured but everyone now gets diagnosed. If we think in terms of mental health, then many other things follow. Many of the things we have been referring to as mental illnesses become a matter of degree rather than an illness that you have or do not have. Something bad happens to you, you lose a family member or a job, you become sad, a normal human emotion, then eventually you should get over sadness no treatment needed. Should you become too sad or the sadness persist too long then the label and the corresponding treatment would change. Sadness or grief becomes Major Depressive Disorder when it gets out of hand. We have a range of Anxiety disorders. Now anxiety is a close cousin to afraid or scared. So if people are shooting at you I think you should be scared and duck behind something. That scared, anxious, avoidance of things may save your life. But should that anxiety begin to get out of control, every time you hear a car door slam or see someone on the street, if you become too anxious to leave your house, that is a problem. Clearly, most of the things professionals diagnose as an anxiety disorder are much more severe than the things we consider normal but it is easy to see how the two overlap. The concepts of wellness and recovery have challenged the way we think about this issue. If we allow that people can move back and forth on the continuum of mental health then there would be times when a particular person was mentally ill and other times when they were in better mental health. Rather than thinking exclusively in terms of mental illness and diseases we should be thinking about mental health as similar to physical health. There are times we are in better health than at other times. Someone could have “poor mental health” and be in need of prevention or restorative services long before they reached the point of what we have been calling a mental illness. The Mental Illness Violence dilemma. The news has been full of accounts of people who became violent and harmed others. The common discussion revolves around whether they were “mentally ill” and why no one had detected their illness beforehand and prevented that violence. What if that person had been in poor mental health for some time and then eventually their mental health deteriorated to the point it could have been diagnosed as what we are currently calling a mental illness? Could an intervention have been conducted while this person was in the pre-mental-illness stage that would have prevented their condition from deteriorating to a mental and a behavioral issue? 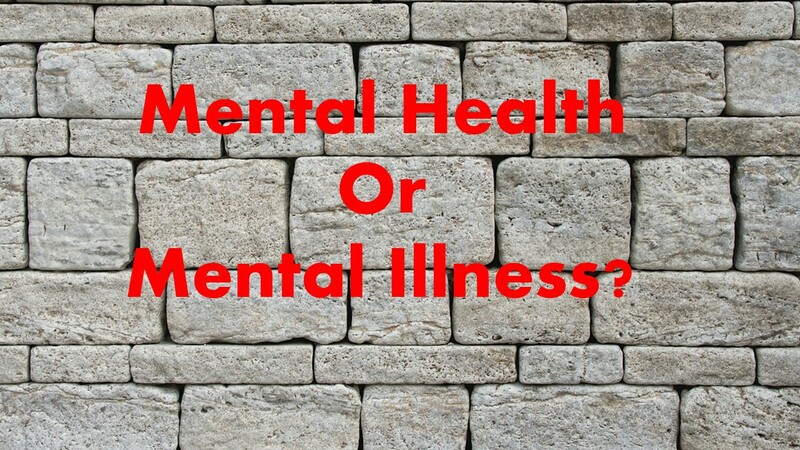 If the mentally ill are somehow different from the normal people then no, no prevention is possible but if there is such a thing as mental health that gets better and then gets worse and then better again there are things that can be done to prevent relapses into active mental illness. We have had that violence – mental illness connection wrong. A little more on the mental illness violence connection. Those with a mental illness are far more likely to be the victim of crime rather than the perpetrator. Most of those workplace and school shootings? Those were often the result of someone who appeared normal or close to it until they were fired from their job, served with divorce papers or found out their partner was cheating on them. Remember, as reprehensible as it is that even one child died in a school shooting, each year for every child who dies in a school shooting, from ten to twenty children are shot at home by a biological parent who then shoots themselves. Rather than having had a long-term diagnosable mental illness I believe there is good evidence that many of these violent incidents were the inability of this person to cope with an identifiable stressor. Their problem was not a long-term severe mental illness but their inability to cope with stress that pushed them into a poor mental health state. Many have suggested that the mental illness is just the way they are not to blame them for their having a disorder. I agree that they are not to blame for having gotten a mental illness. I doubt that anyone chooses to be sick mentally or physically. That does not mean that the mentally ill have no hope and need to resign themselves to always being too sick to function. Recovery can happen. We see it happen every day. Throughout the year I want to talk more about some of the tools that can be used to keep yourself mentally healthy and to reduce the impact of illness when it does occur. Raising awareness of mental health issues. The theme for 2014 is “Living with schizophrenia”. Last year’s theme, 2013, was Mental Health and Older Adults. Depression is the largest single cause of disability. The good news is that today the emphasis in the treatment of mental illness is on wellness and recovery. Many people who have had episodes of serious mental illnesses have gone on to have happy and productive lives. Consider today how your life or the life of someone you know has been affected by a mental illness. What would it mean to you if you or someone close to you could recover from that condition? No one should have to face a mental illness alone. There is help available in many places. We hope that this day, World Mental Health Day will focus awareness on the need to do more to help those who are currently experiencing a mental illness. Remember World Mental Health Day. Ways to boost your self-esteem. Don’t feel good about yourself? Here are some ways to solve the low self-esteem problem. If you tell yourself you can’t then you won’t. Telling yourself negative things will keep you stuck. Putting yourself down will not protect you from failure it will protect you from success. Continued self-criticism is the surest way to lower your self-esteem. Don’t do that to you and don’t put up with others doing it either. Don’t repeat the negative things you have been told to yourself. High self-esteem is based on what you accomplish. The more you try, the more you learn how to do things. The more you do the more you will accomplish and the more you have to make you feel good about your life. Make sure you tally up the successes, not just the errors. Accept yourself as you are. The process of rating yourself points out where you are less than perfect. No one is perfect. There is always room for growth and improvement. Remember that half-empty glass. Concentrate on doing, not measuring, and you will find that you will have less need of boosts to your self-esteem. 4. Stop discounting the positive. Learn to give yourself credit for the things you do well. Practice accepting praise and compliments from others. If you do not count your successes then the tally will be only failure. 5. Write out a gratitude list. Knowing the things that make your life good, paying attention to those things can help you to feel better about yourself. 6. Don’t listen to the haters. There are plenty of haters in the world who need to pull you down to feel good about themselves. There are those evil trolls under every bridge. Do not listen to them. Do not believe them. Do not waste time on them. Arguing with haters brings you nothing but pain. Sinking to their level can only destroy your self-confidence. 7. What would your best friend say about you? Don’t dismiss the things your real friends and loving family might say about you. They know your good and your bad and they like you anyway. What are the good things they see in you? Not sure? Ask them what they see as your skills and abilities. You may be surprised to find how much others think of you while you have been thinking you are coming up short. Don’t have family or friends that would see the good in you? Work on developing a positive support system. 8. Watch who you are comparing yourself to – looking over your shoulder. Focus on what you are doing. Constantly comparing yourself to others will cause you to become discouraged. No one wins all the time. Do not compare your everyday life to someone else’s lifetime achievement. 9. Start over each day – past successes and failures do not count today. Stop beating yourself up for the mistake of yesterday. Each day you start out fresh. Do your best to make today better than the day before. 10. Pick friends that support you. Surround yourself with people who like you the way you are and will support you. Being surrounded by people who like you is a great way to boost your confidence. 11. Look for the evidence – are you really stupid? Do not discount all the evidence that you are a worthwhile person. If you only count up the negatives you miss all the evidence that you are a person of value. Not enough evidence that you are accomplishing things? Do more, not less, and you are likely to do some worthwhile things. If you are sad that does not mean things are going poorly. Just because you feel down right now does not make you a failure. We can all have times when we are discouraged. Being discouraged means you need to take another look at what you are doing. It does not mean that you are not a worthwhile person. Get in the habit of noticing the good in others. Tell them what you like about them. Cultivate a positive good-seeing vision and you will be more able to see the good in yourself. Do not dismiss compliments. You know when people are sincere and when they are buttering you up. Being able to accept compliments and say thank you helps you to feel good about yourself. Stop chasing the positive away from your door. 15. 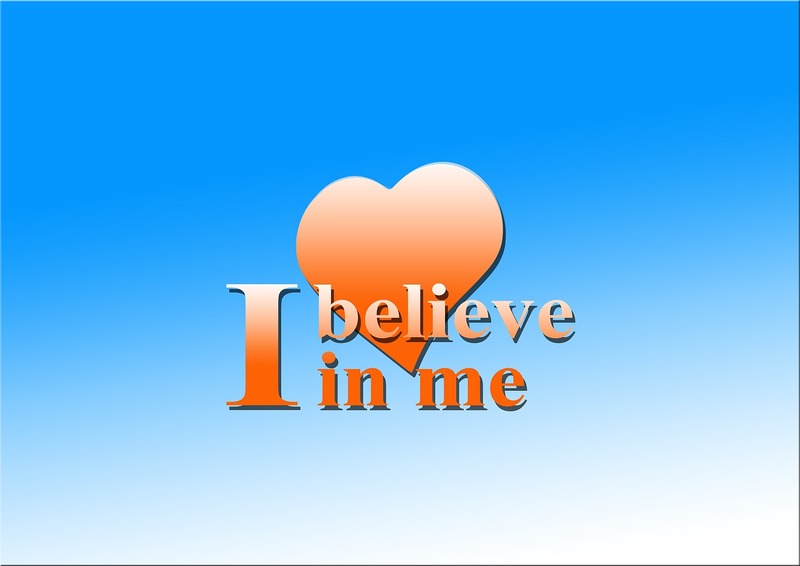 Tell yourself you can – positive affirmations. Start out each day by saying good things, positive affirmations, and your brain will work on making them come true. Restart your day at any time by telling yourself that this is a good day. You are a worthwhile person and you do not need to do or say anything to be acceptable. 16. Have a successes resume. It is easy to remember failures and harder to remember successes. Make up a list of the things you do well. Write them down. Review that list periodically and add to it. You will be surprised how many things should be on that list that you may forget otherwise. The more you do the better you will feel about yourself. Do things for the sake of doing not for the success points. The more you do the better you will feel. 18. Play your own game, not the old family role. Families have roles. You may have been handed the “stupid” hat or the “black sheep” hat when you were born. You can change that role. Stop living down to the things others tell you and the names you may have been called. Stop saying you are stupid or bad and try on a new role. You just might like the “OK person” role. 19. Stop keeping score all the time. Life only happens for so long and then it is over. A hundred years from now no one will remember your mistakes. Life is about having the experience, not the score. Enjoy the trip. Really your worth as a person does not depend on your algebra test score or your golf score. There are my suggestions – 19 ways to cure low self-esteem. Most involving putting away the tape measure and accepting yourself the way you are. Do you have any other suggestions? What has helped you to feel good about yourself and the things you do? How do you cope with sadness when your life goes on? Sadness is a normal part of life. You feel sad sometimes and then the sadness passes and you move on. Sometimes we feel sadness and we get stuck there. The longer you stay stuck the more likely you are to slip down into the quicksand of depression. So what should you do when that sadness feeling comes lurking around? 1. Let yourself feel what you feel. It is OK to feel what you feel. Some things are sad. Sometimes we feel sad just because we do. We hear of someone else’s misfortune and it makes us sad. We see something and we feel this feeling. This is called empathy, the ability to understand and experience what others feel. Put yourself in another’s shoes and you will understand some part of their sadness. Do not try to stop the feeling the second it comes on. It is OK to experience it. Just do not stay there and wallow in the feeling. Understand that this feeling like all other feelings can pass if you permit it. 2. Share with someone else. In times of trouble, we need to share our sadness with others. We talk about our pain and grief with friends or family. If you have religious faith or a spiritual tradition you will want to seek out those with like beliefs. When there is no one that you feel comfortable turning to, when there is no one there or when you do not feel comfortable putting your sadness on those close to you there are professionals that can help. Seek them out. 3. Share with yourself – write it out. Sadness that continues to rattle around in the head magnifies itself. A first step in getting loose from the sadness is to get it out. Some people find that journaling, writing about their sadness or depression, helps discharge it. Others use drawing or dance to express these sentiments. 4. Turn sadness into motivation. A sad event in your life can be the tipping point that turns your life around. Lose someone to a drug overdose and you may be motivated to become a counselor. How might your sadness, pain, and suffering become tools to help you find your purpose in life? 5. Treat yourself to things you like. Learn those things that make you happy and make it a point to allow yourself those items on the list that are positive. Not getting enough rest, being over tired, is a way to let sadness and depression overcome you. Get plenty of rest. Make bedtime a regularly scheduled event. One type of depression (atypical features) results in people who start to stay in bed all the time. They eat more than normal, like a bear ready for winter and then sleep day and night. If you find that you are tired all the time and just do not have the energy to get out of bed and do things, try setting a time for bed and one for getting up. If that still is a problem consider an evaluation by a professional for possible depression. Failure to eat on time, lack of energy can result in sad, tired feelings also. This makes it hard to get back into life after a life event that creates sadness. Take care of yourself and that especially means eating in a healthy way if you want to reduce the impact of sadness on your life and mental health. 9. Hang out with positive people. You become like the people you spend time with. You friends are your future. Hang with the winners if you want to win. Hanging out with downers will pull you down. 10. Take frequent short breaks. When you are down and sad, things can be overwhelming. Do what you can. Do not give up. Do a little and then take a break. Repeat as needed. Be kind to yourself when times are tough. A little movement can brighten your mood. Walk around the block if that is all you are up to. Exercise is a good prescription for depression and a little can be a preventative when it comes to the progression from sadness to depression. Try to include some exercise in your regular routine to improve both psychical health and mental health. Get out of the house. Take your lunch break away from the office. Do something new on your time off. A change of scenery can create a new perspective on life and on your troubles. When sad we tend to give in and go along. This can create feelings of resentment. Learn to set boundaries. Do not let yourself be taken advantage of. Saying no to requests that are beyond your current abilities can reduce your stress and keep your sadness from drowning you. Misery may love company, but it loves miserable company. If you want to get out of the sadness trap seek out positive people. Limit your exposure to naysayers and Negative Nellie’s. 15. Plan for time to yourself. When you are down, too much commotion and too many people can be overwhelming. Include in your schedule quiet time for yourself. 16. Reconnect with supportive people. Make sure those people you do contact are supportive. Call an old friend. Attend a self-help meeting even if you do not feel like it. Being around supportive people is good for your recovery and for your future mental health. What other positive coping skills have you discovered that keeps your sadness from becoming a serious depressive episode?